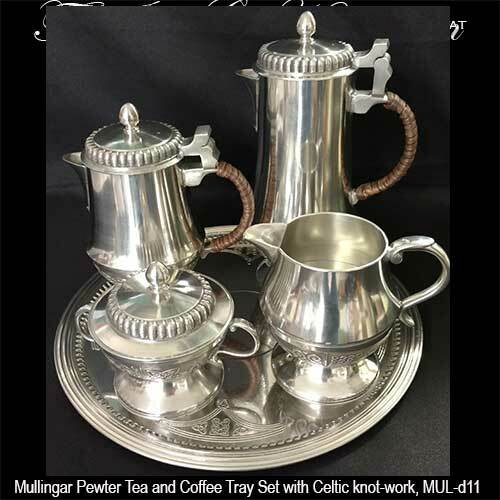 Pewter tea set features Celtic knot-work embossed on the teapot and coffee pot along with the tray, creamer and sugar bowl. 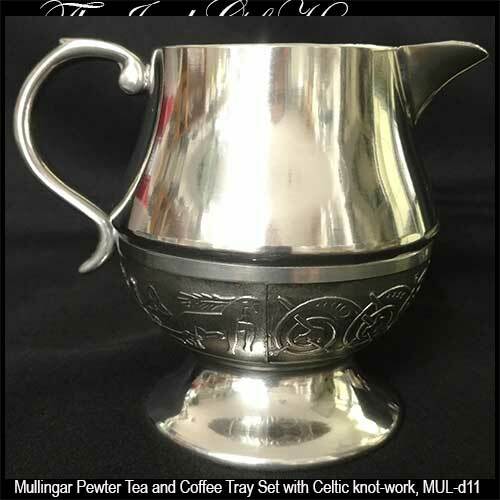 This Celtic tea and coffee service is made of lead free pewter. 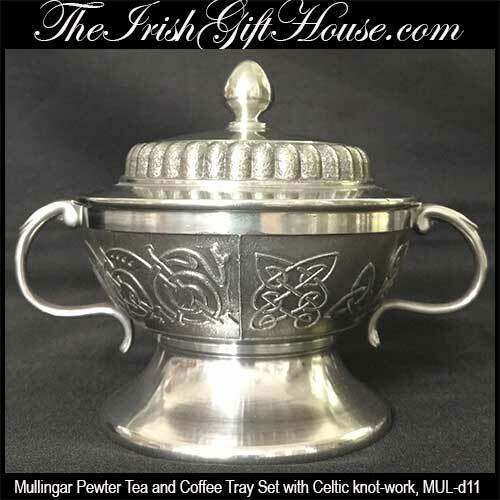 Please note that this Irish tea set is a special order item that requires 5 - 6 weeks for delivery. 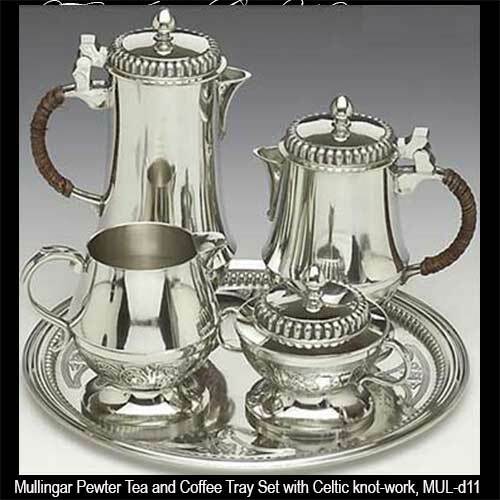 Entertain in style with this Irish pewter tea and coffee service. 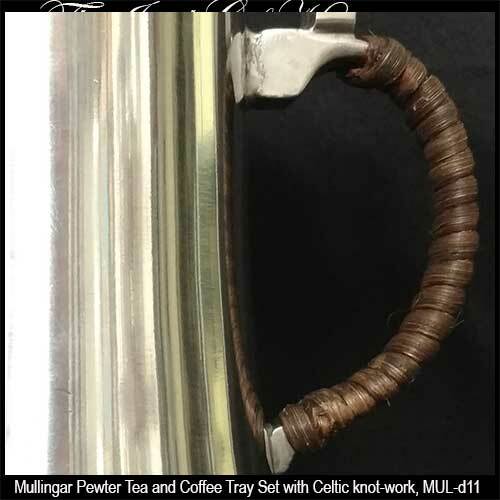 Each piece in the five piece set is enhanced with Celtic knot-work. 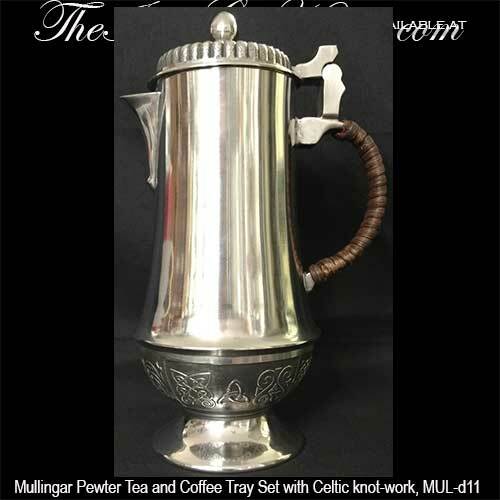 The pewter coffee pot measures 8 1/5" tall and hold 20 ounces. 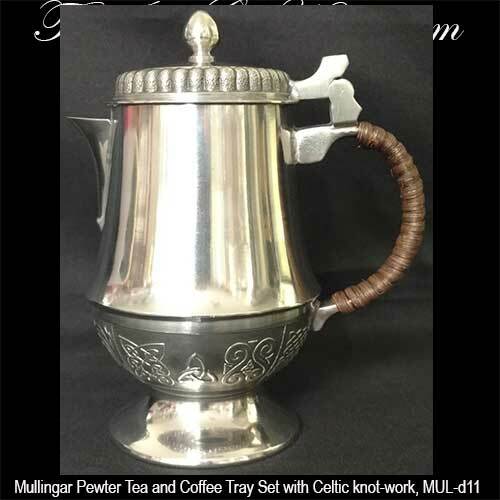 The Celtic tea pot stands 6 1/5" tall and hold 20 ounces. 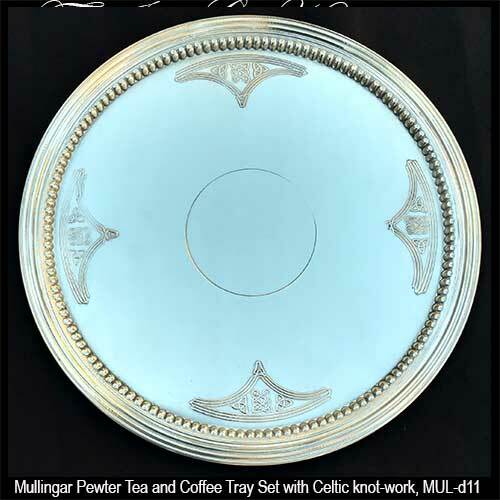 The Celtic knot-work enhanced round tray measures 10 3/4" diameter. 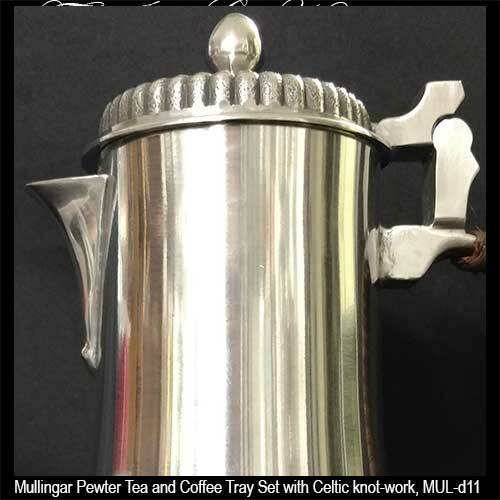 The cream jug measures 4 1/5" tall and hold 20 ounces. The sugar bowl measures 3 3/4" tall, including the lid. 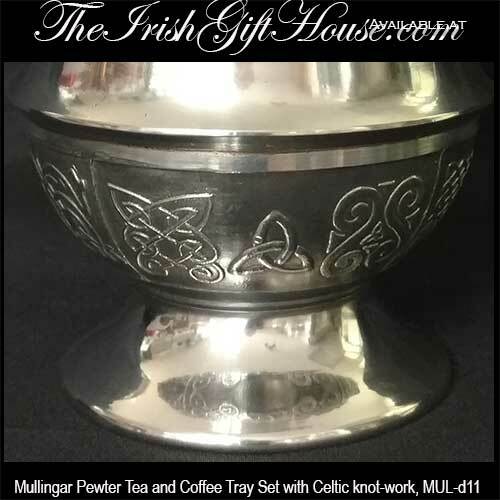 The Irish coffee and tea service with tray is hand crafted in Ireland by Mullingar Pewter and it is gift boxed with a Celtic knot history card, complements of The Irish Gift House.